Thinking of staining a deck? 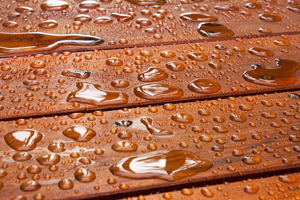 Whether you're staining a new deck or restoring an old one, staining a deck can be tricky. Planning, preparation and skilled applcation are crucial to achieving the best deck stain results. Improper cleaning or preparation can remove parts of the deck itself. A deck that becomes burned will also be unable to receive the stain properly. That's why it's so important to have your deck professionally stained. That's why the experts at PaintMasters always use the best deck stain for your project. Whether an oil based deck stain, transparent deck stain, acrylic deck stain or solid color deck stain, our deck stain professionals have the right product to protect your new deck or restore the beauty and lustre of your existing deck. And, with an A+ BBB rating and over 30 years in the business, you know you can trust us. Give us a call today for a free estimate. PaintMasters also uses the best deck sealers to ensure your deck is fully protected from the ravages of nature. Exterior wood can be deformed by hail, storms, UV light and mildew if left unsealed. That's why it's important to choose the right deck seal and keep your sealant up to date. The experts at PaintMasters will know exactly which deck seal to use for your deck and will offer a wide range of options to fit your specific needs and budget. 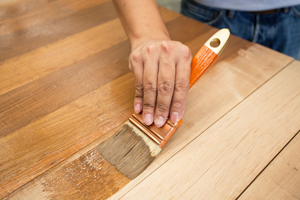 A deck has to be properly prepared before staining. But pressure washing without the requisite skills can result in disaster. Too much pressure and you can lose wood. Too little, and your deck may not receive the stain properly. At PaintMaters, we have the expertise to prepare your deck properly and restore it to its original lustre. It's always best to remove the old stain before applying new. But before you try it on your own, give us a call. Deck stain removal sounds easy. But if it's not done correctly you can end up spending more trying to fix the problem than you ever planned. With hundreds of deck stain products on the market, how do you know which is right for your deck? The short answer is: it depends. It depends on the type of deck, the wood, the age of the wood, how many times it's been stained, the weather it's been subjected to. There's a lot of factors that make it difficult to know how to choose a deck stain. So before you run out and buy a stain that might not be right for you, call the experts at PaintMasters. The call is free and so is the estimate.